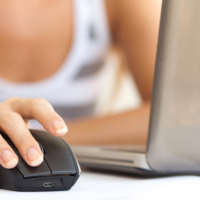 Those who use computers on the Windows operating system may face an unpleasant situation that can practically paralyze a full-fledged work. We are talking here about the situation when you right-click your mouse the whole system freezes completely or it doesn’t freeze but runs very slowly. Such a problem may occur both inside File Explorer and on the Desktop. In this article we are going to tell you how to solve it. 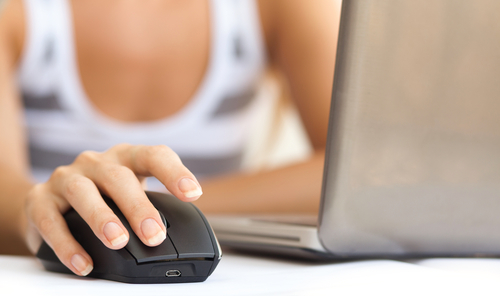 In Windows operating system, by default, the right-click on a mouse calls up the context menu. Depending on where the user clicks the right mouse button, there will be offered a different list of actions that he can perform. This feature is often implemented inside programs. But in this article we will discuss the situation when system freezes after you right-click inside File Explorer or on the Desktop, because the context menus for these actions are almost identical. When you right-click on your mouse and the whole system freezes it is usually because of one of the third-party programs that are installed on your computer. The program adds new lines to the context menu that appears when you right-click on your mouse, and if there are problems with its operation, it may cause freezing. Important: In some situations, system may freeze after you right-click on the mouse due to the standard elements of the Microsoft context menu lines, for example, if files were damaged during an upgrade or installation. As noted above, third-party programs installed on the computer are most often the reason for the whole system freeze. If the problem appeared after installing one of the applications, which adds a new line to the context menu, first of all, to eliminate the problem, try deleting these applications, or try to disable integration into the context menu in its settings. Very often, applications do not have an option that would allow them to be removed from the list of the context menu, and the user agrees to add the program there at the moment of its installation. In such a situation, you can remove the application, and then install it again, and during the installation, uncheck the item that makes it possible to add a new line to the File Explorer. If you cannot remember what was the last application you had installed on your computer you can turn to the recovery points. Restore the system to the closest available date, and if it does not help, then refer to the older date. In a situation where none of the above solutions have helped to get rid of the problem, and your computer continues to freeze when the context menu appears after you right-click on the mouse, you may want to consider using a special software – ShellExView. This application can be downloaded free of charge from the official website of its developers. After installing the ShellExView application, you need to launch it. When you are inside the program, go to “Options” and click on “Hide / Show all Microsoft extensions”. 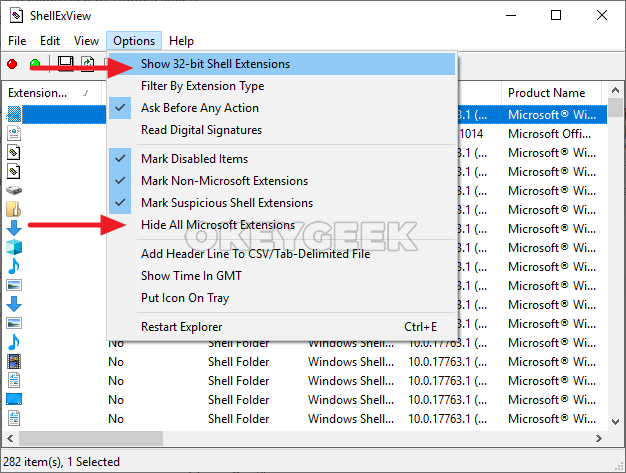 Also click on “Show 32-bit Shell extensions”. 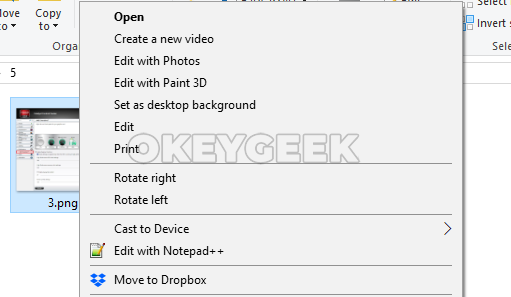 After that, only those context menu lines that are installed by third-party applications will remain in the list. Here it will be necessary to deactivate “suspicious” ones, or all of them, and then activate them back one by one, in search of the one that causes freezing. To deactivate one or more entries, select those and right-click, then select “Disable selected entries”. 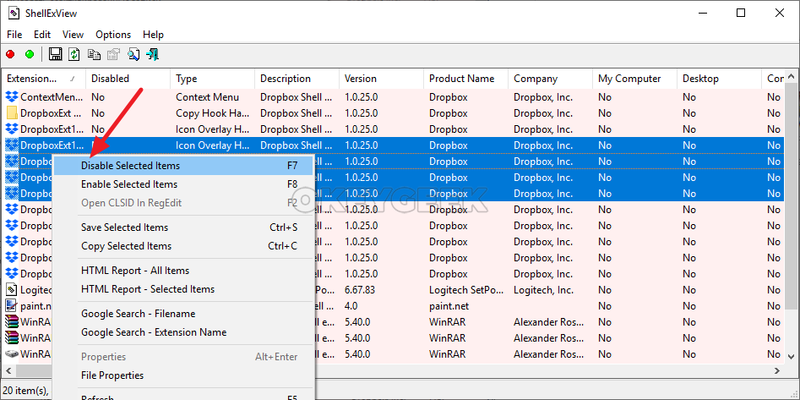 Important note: After each activation or deactivation of an entry in ShellExview, it is necessary to restart the File Explorer or the whole computer for the changes to take effect. Having detected (using the ShellExView applicaton) the program that seems to be the problem initiator, remove it from the computer and try installing a more recent version of this application, if necessary.